Donald Trump's comments come ahead of the visit of a high-level Chinese delegation next week for talks with officials of his administration. 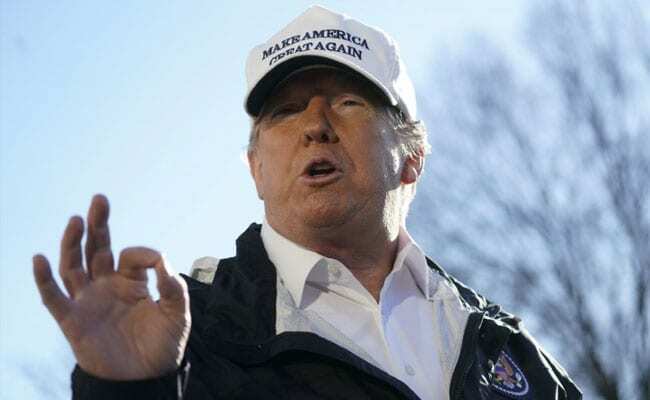 US President Donald Trump has said he was very comfortable with his current policy of slapping high-import tariff on products from China, but would like to have a trade deal with them for the benefit of intellectual property. "What we're doing with China, I think, will have a tremendous impact, if you look at the numbers that we're talking about. We'll see how that all comes out," President Trump told reporters at the White House on Thursday. The president's comments come ahead of the visit of a high-level Chinese delegation next week for talks with officials of his administration. The two countries have set a deadline to resolve their differences by March 1. "We are charging tremendous tariffs now, and they go up, as of March 1st, very substantially. I think China would like to make a deal. We'd like to make a deal. I like exactly where we are right now, to be honest with you. We're very happy. We have billions of dollars coming into our Treasury -- billions -- from China. We never had 10 cents coming into our Treasury; now we have billions coming in," he said. "If we could make a deal that'll be great -- on intellectual property, and theft, and all of the other things we're talking about, in addition to taxes themselves," President Trump said. Secretary of State Mike Pompeo said President Trump wants a fair and reciprocal trade from China. The slowdown in economic growth in China is very real and severe, Mr Pompeo told Fox News in an interview. "There's no doubt about that." "President Trump has been pretty clear: we just want things to be fair and reciprocal. We want a set of arrangements that allow American workers to have the same opportunity that Chinese workers have. We want our companies to be able to sell their goods into China without the risk that their intellectual property will be stolen or that they'll be forced to deliver their technology to the Chinese government," Mr Pompeo said in response to a question.